Fares quoted are available from now to 10 September 2012, subject to seat availability. 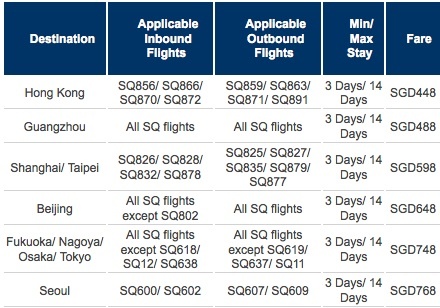 Fares quoted are per person in Economy Class for travel out of Singapore from now to 31 January 2013. 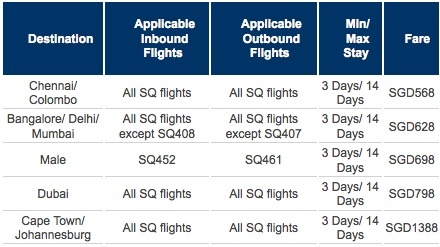 Fares are not applicable for travel out of Singapore from 16 November to 25 December 2012 (except Australia, Europe and New Zealand). Fares to Australia, Europe and New Zealand are not valid for travel out of Singapore from 1 December to 25 December 2012. Other terms and conditions apply.